Bali Hotel It is located in walking distance from Jimbaran Bay, Kosala Villa. It has only 6 villas located within a vast tropical landscape. 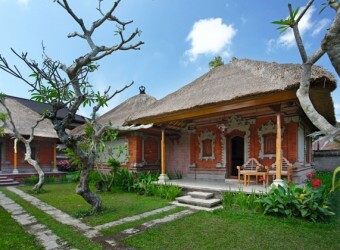 Each villa is Balinese style architecture and guest can feel cozy and private atmosphere. Balinese design room and modern amenities offer the best relaxation.